When I found myself partially stranded on my way home due to the post-Christmas traffic, I wandered off. Little did I know that fate will give me a surprise. It was unintentional, but I found myself awed by the synchronized lights and sounds in Ayala Triangle, "dancing" in the tunes of favorite Disney. 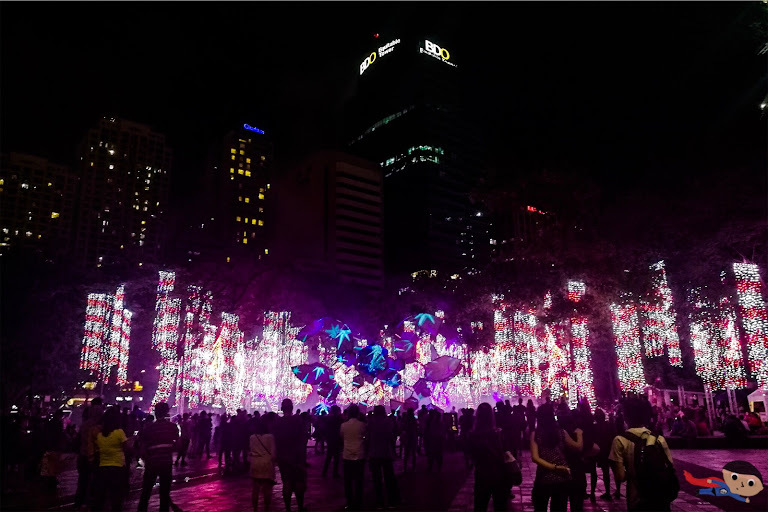 It has been a tradition for the management of Ayala Triangle to hold a lights and sounds spectacle during Christmas season. Likewise, lots of families are often all giddy in anticipation for this. 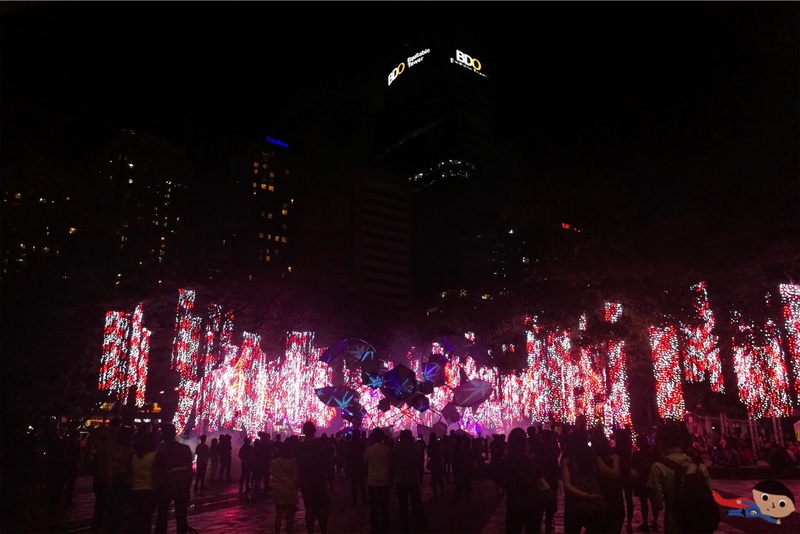 Some would even travel from provinces to Makati just to witness the dancing lights. I commend the people who gave birth to this idea. It's truly a Christmas gift for all Filipinos. With such magical moment, they could have charged a fee, but instead, they kept it free for everyone. You can even watch it multiple times to your heart's content. For foreign or local tourists who'll find themselves spending a vacation in Metro Manila on December, I really suggest that you put this on your "must-do" or "should-visit" place. 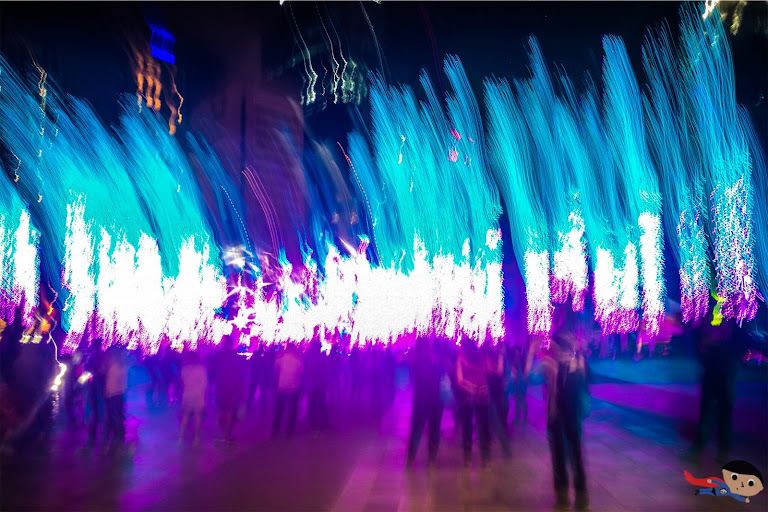 It's not only the lights that are fascinating. You'll also get to feel and witness the Filipino Christmas spirit. 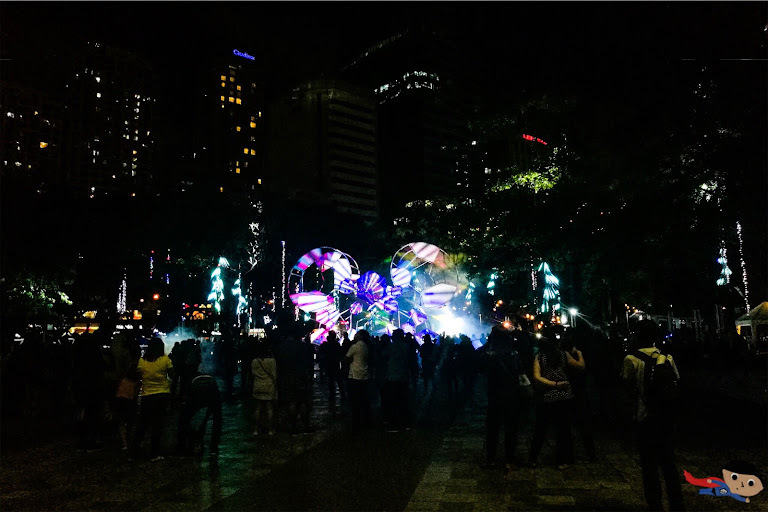 Families flock to Ayala Triangle, and you'd often see the glimmer in the eyes of the children, and the shared contentment felt by the parents. For me, this is way more fascinating than the show itself. Of course, the lights are still a great sight to behold. Afterwards, there are interesting restaurants lined up along Ayala Triangle. The selection caters to different budget spectrum which explains why during the season, most of these restaurants are jam-packed. The show for 2018 stood out, and made waves as they built up the lights on the ever quintessential songs of Disney movies - Frozen, Alladin, Tangled and a few others. The great thing is, I felt a similar (though of different magnitude) feeling when I watched the Fireworks in Hong Kong Disneyland (read more). The feeling of childhood flashing and flooding in with an overwhelming speed, enough to make you tear a bit and perhaps bawl for some. Is it wander-worthy? Definitely yes! You'll witness the Filipino Christmas spirit! How to get there: You can take the Nathaniel bus (if you are coming from SM San Lazaro area), and stop at Ayala Triangle (i.e. Makati Avenue drop off). You may also take the LRT to Gil Puyat Station, and then ride a bus going to Makati.